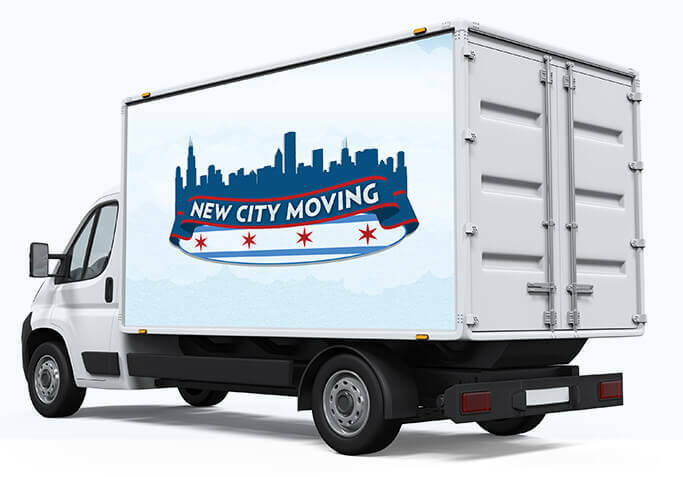 New City Moving is committed to providing Chicagoland with the very best in moving and packing services. We have proven to be one of the most trusted companies in Chicago and the surrounding suburbs. Need Packing or Storage? We’ve still got you covered. Our number one goal is providing top-notch customer service from the moment we engage with our customers to give them their first quote to the moment we wave goodbye to them at their new home. We must be doing something right, because over half of our moves are repeat customers who continue to refer our services. We always enjoy seeing familiar faces! Why Choose New City Moving as Your Chicago Movers? At New City Moving, we understand that moving is a personal experience. We know that moving tends to be stressful. Trusting people you have likely never met with your belongings isn’t necessarily the most calming situation. We strive to make things as easy as possible for you and our team will work on building trust with you and your family or friends to help put any worries at ease. We also understand that sometimes moving is associated with very exciting times in a person’s life and sometimes making a move is initiated by negative life events. No matter what circumstances bring you to search for a moving company, we want you to be confident that choosing to move with New City Moving will always be a pleasant experience. Anyone with a strong back can move furniture, right? That’s the attitude some Chicago moving companies may have, but not New City Moving. We are professional movers in Chicago and we take the word “professional” very seriously, as you’ll discover as soon as you get in touch with us. We take pride in our people and handpick every single person who answers the phone and every mover who shows up to your doorstep. We have also invested heavily in our in-office technology so that no matter who answers your call or your email, everyone is well-versed in your current situation, previous history with the company or any past requests and can easily assist you in the best way possible. While some companies may hire movers and packers from less reputable establishments, New City Moving is diligent in making sure that each of our movers and packers undergoes a background check and is clear of any criminal or questionable history. We’re considered one of the best moving companies in Chicago because our movers go through a rigorous training program to make sure they are the most careful, safe and effective movers they can possibly be. Other Chicago professional movers cannot make this claim. In fact, only three other movers in the entire state put their movers through such a program before sending them out into the field. We have also invested heavily in our in-office technology so that no matter who answers your call or your email, everyone is well-versed in your current situation, previous history with the company or any past requests and can easily assist you in the best way possible. We would never send people into your home that we wouldn’t want in our own, so we make sure all of our employees are good people we can trust and confidently stand behind. We like to think that each of our employees will treat you with the same amount of respect and courtesy as their own grandmothers! We are the highest rated moving company in Chicago. We have successfully completed over 70,000 moves. Your friends have used us. We know Chicagoland like the back of our hand. Words are just words if there’s nothing substantial behind them, but we have been honored for our community outreach numerous times. We have been recognized by the Chicago Police Department, commended for contributions to our Bucktown/Wicker Park neighborhood, and featured in the Chicago Tribune’s daily publication, RedEye, as experts on the Chicago Moving Experience. All that being said, we hope you consider us for your next move and we are confident that we will do everything within our power to make sure it’s as stress-free and successful as possible! The way we stay ahead of other Chicago moving companies is our unstoppable commitment to customer service. We know that you have a choice in moving companies. Chicago residents can be confident that, if you have any questions or concerns about your move, we will move heaven and earth to make it right. We urge you to consult your friends who have used our services or seek out online testimonials to learn just how far we will go to make your move right. We’re confident you’ll like what you hear. Let the #1 Moving Company in Chicago, IL, Serve You Today! We are the highest-rated full-service moving company in Chicago and the only Chicago movers you will ever need. We are the fully insured and licensed movers Chicago residents turn to over and over again for moving services. Find out why we are consistently chosen over other Chicago moving companies. Best service from the time you book through the time you move. Your moving crew has quality on their mind and understands first-rate service. You’ve built an amazing company that understands the definition of service and execution.